I suppose this is definitely more of a sculpture than a construction. 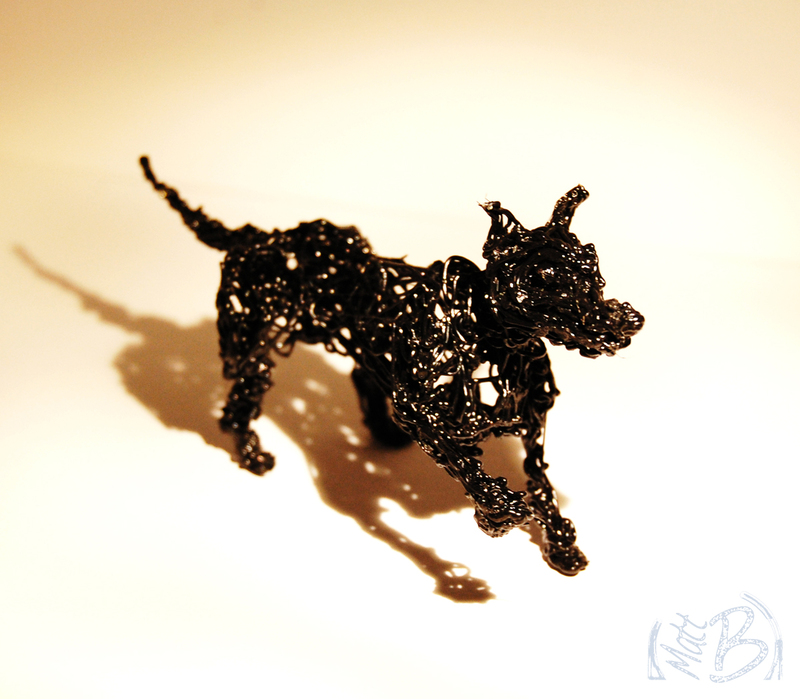 I am still very much experimenting with my 3Doodler and how to use it to make all sorts of things. Today I wanted to make a dog, inspired by my friends at Whickham Walkies who are currently running a Pick up the Poop campaign. Encouraging the residents of Whickham to clean up after their dogs. Whilst I don’t live in Whickham and don’t have a dog I still think its a good idea to encourage people to Pick up the POOP! So you should too. So I went into this build/sculpt thinking I would use a similar method to my plane build. Trace the body, legs and head then stick them all together. I looked through google images and pulled a few pictures of dogs and some physiological dog musculature images for tracing and to understand how a dog goes together! 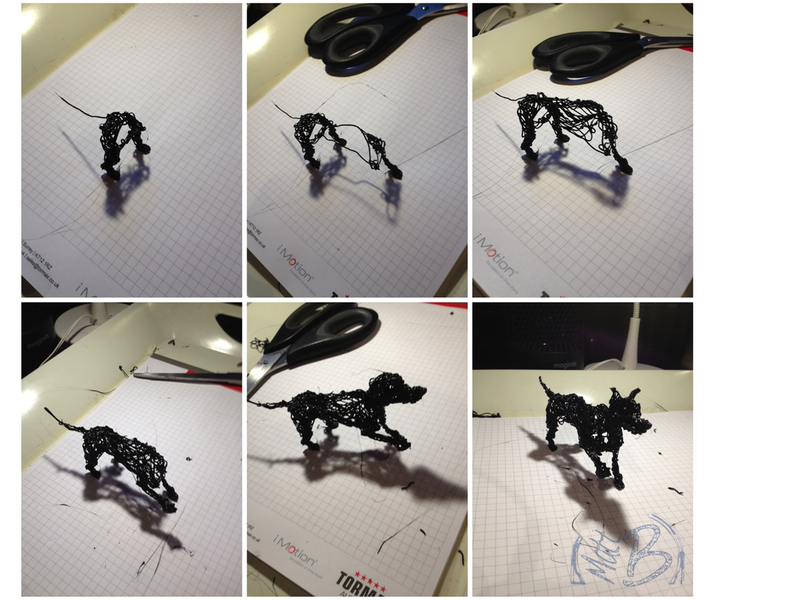 It turns out that 3Doodling a dog needs a bit more of an artistic touch rather than a mechanical construction. It just wasn’t working, the pieces were too flat and lacked any character so I changed tack and just 3Doodled straight up and off the paper rather than trace. Hence this was definitely more of a sculpture attempt than a build. The bit of research into dog musculature (google images) really helped whilst doing this. Understanding which direction the muscles flow gave me a bit of a guide as to which direction to lay each strand of plastic. Not that its in any way accurate, more a sketch, which is exactly what if feels like to use the 3Doodler in this way. You can even erase your errors to some extent, if something isn’t quite the shape you want then you can heat up the area with the 3Doodler nozzle and then push push it where you want, within reason (just be careful not to burn your fingers). You can even cut out areas and re-doodle them if you are careful, thats why the scissors are ever present in my making images. Scissors, the eraser of the 3Doodler world! Thanks for taking the time to read my blog, I hope you enjoyed it. I have had some great feedback so far and I am really enjoying writing this blog so thank you very much.